LOS ANGELES (AP) — As the time nears for spring cleaning and companies offer more environmentally friendly alternatives to toxic cleaners, veterinarians say pet owners should keep in mind that what's green to a human can be dangerous — even deadly — to animals. "People expose their animals without even realizing the risk," said Dr. Karl Jandrey, who works in the emergency and critical care units at the Veterinary Medical Teaching Hospital at the University of California, Davis. "That's the most common thing that happens when you come to our emergency room — the clients put their pets at risk because they were unaware of how significant the damage could be." Most household cleaners are safe if used as directed on labels, but pet owners who make their own cleansers using natural ingredients don't have the warnings or instructions that come with commercial products. Cats, for example, can get stomachaches from essential oils added for orange, lemon or peppermint scents in cleaners, said Dr. Camille DeClementi, a senior toxicologist at the Animal Poison Control Center run by the American Society for the Prevention of Cruelty to Animals in Urbana, Ill. Most commercial green products are safe for animals, DeClementi said, but owners should still exercise the same precautions as with chemical alternatives, such as keeping pets away from an area being cleaned, not using sprays directly on a pet and making sure that dogs don't chew on the products. If a product says "Keep out of reach of children," keep it away from pets too, DeClementi said. 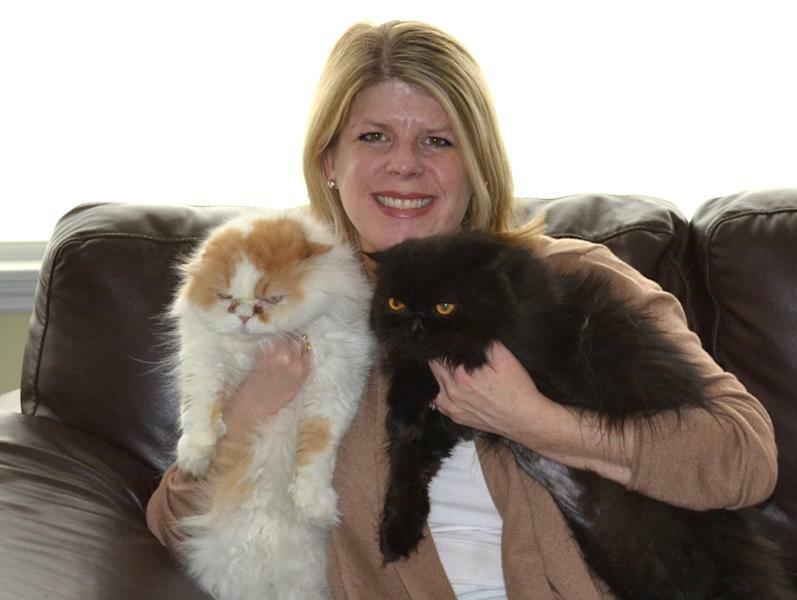 Caroline Golon, an Ohio mother of two children under 5 and owner of two Persian cats, said she became concerned about cleaning products before her children were born, when she noticed how often the cats jumped between floors and counters. The Columbus resident uses only unscented green products or vinegar and water to clean, a water-only steam mop on floors and washes the cats' dishes and litter boxes with hot water and green dish soap. "There are varying degrees of green, and there are a lot of mainstream brands now that have a green version. You have to do a little research to see what you like best," said Golon, a pet blogger. The "green" label on products can be misleading because it still can be dangerous, Jandrey added. "Some still have their own toxicities. In general, they probably are a little less toxic, but not free of toxic potential. They just have a need for a larger dose to cause the same kind of symptoms," he said. He cited antifreeze as an example. The pet-friendly version of antifreeze, propylene glycol, is "still an antifreeze product. It's still intoxicating to patients, our dogs and cats. It's just not as intoxicating as ethylene glycol." It takes more of the propylene glycol to be as deadly as the ethylene glycol, "but it is still intoxicating though it might say pet-friendly in the ads or on the bottle," Jandrey said. Labels can't always account for every reaction, Jandrey said. "Each intoxicating product has different concentrations and each dog or cat, each species, has a different sensitivity to that product. So what might be intoxicating to a dog is really, really intoxicating to a cat because cats might be more sensitive," he said. Nancy Guberti, a New York City nutritionist and healthy lifestyle coach for the past 15 years, said some products will say green when they are not. "Natural means nothing. The consumer has to be educated. It's all about awareness," she said. Extra care also should be taken when cleaning around a pet's area, such as its toys or bedding, the experts say. Don't use fabric softener sheets that contain cationic detergents because they will give your pet — especially cats — stomach distress, DeClementi said, referring to a type of chemical soap that kills bacteria. Such detergents and soaps, normally associated with helping to get clothes clean and fresh-smelling, can have chemicals that can sicken humans and pets alike. Guberti switched to green cleaners out of necessity when her youngest son developed a liver disorder and many allergies. 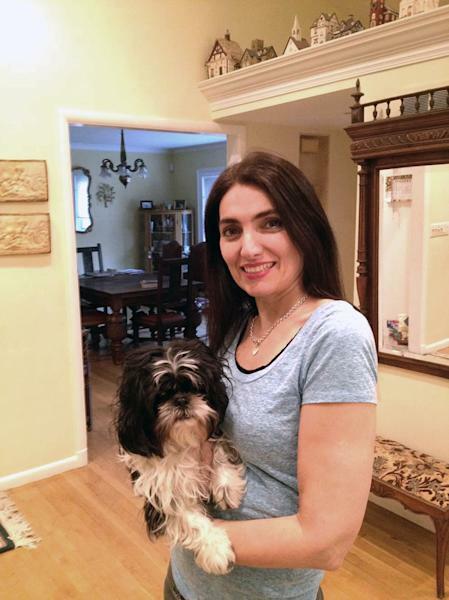 Guberti said the whole family became green — even their family's 6-year-old Shih Tzu, Flower, because her son can't hold Flower "if she is full of toxic chemicals or perfumes." She recalled how she took the dog to a groomer for the first time, and Flower came out covered in perfume. Guberti washed her again at home, and now she brings her own bottles to the groomer. "I have a bottle of shampoo and a bottle of conditioner with her name on it. I always remind them: 'No perfumes whatsoever,'" Guberti said. Golon, who uses a maid service once a month, said she had the same problem when they brought their own products when they first started cleaning the house. "I hadn't thought about it but the smell was so overpowering, it really bothered me. I can just imagine what it was doing to the cats with their sensitivity to scents," she said.